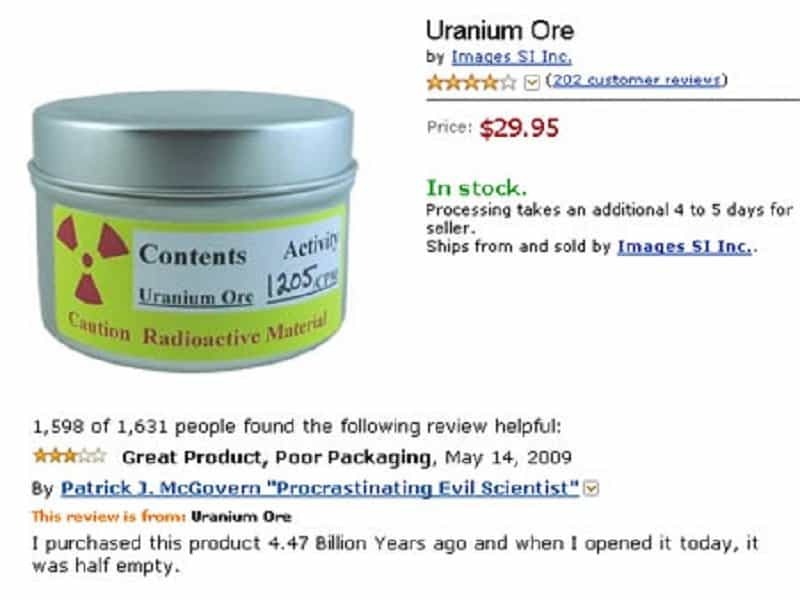 Buying radioactive ore from a website isn’t really the best idea, but leaving a review about its half-life definitely is! 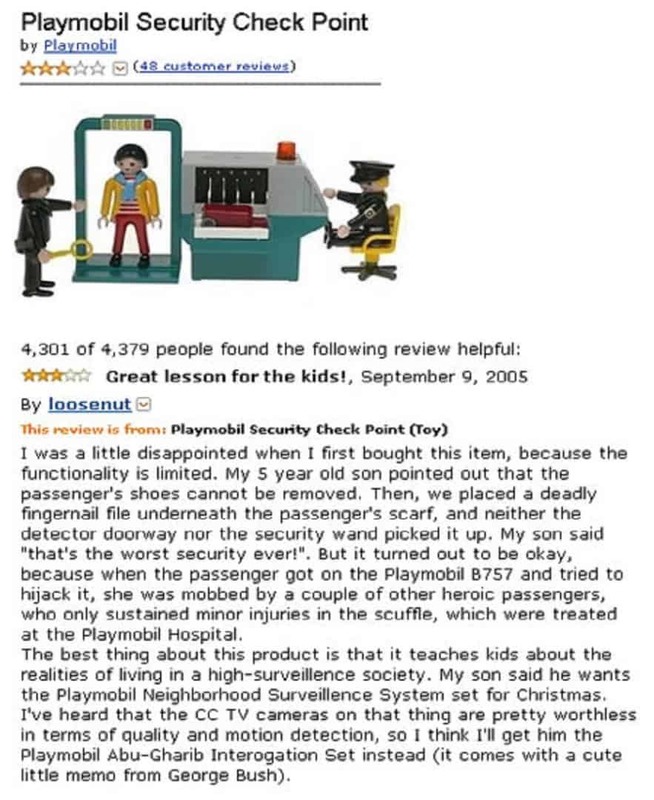 This review offers an extremely useful tip. If you ever order milk online, make sure that you ask for immediate deliver. 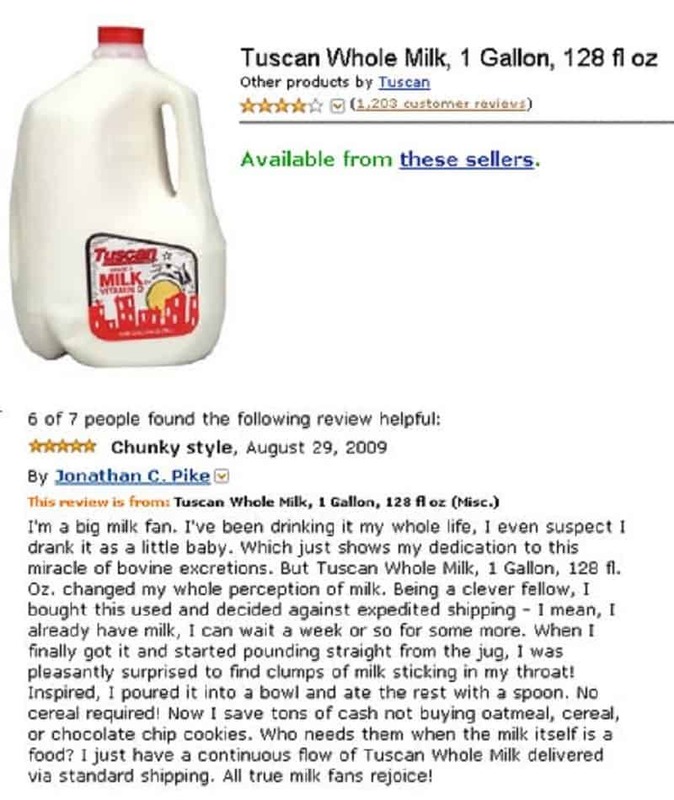 You do not want your milk to be shipped in 8-10 days. 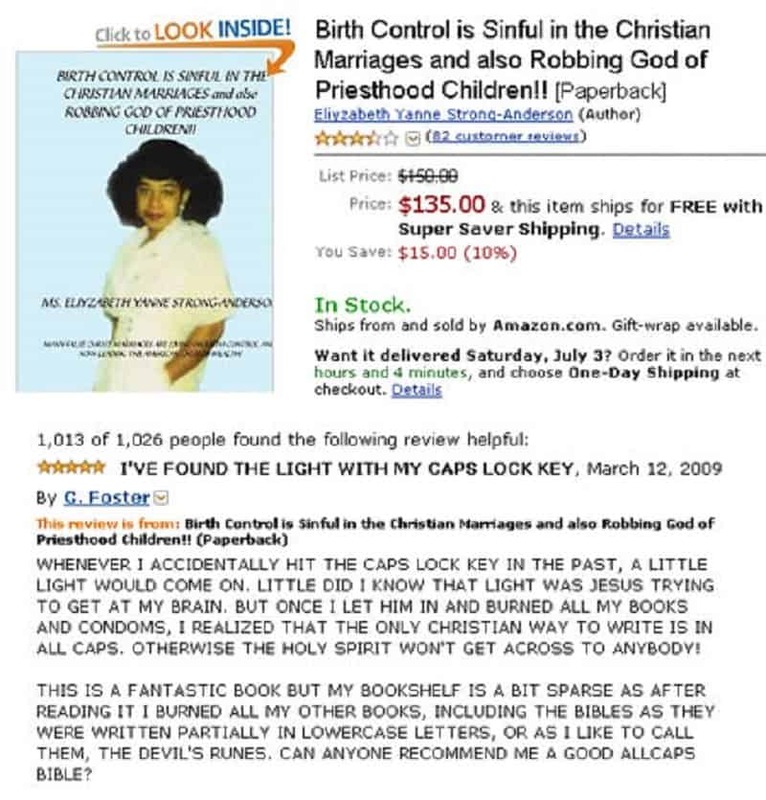 This has got to be the strangest review ever written. 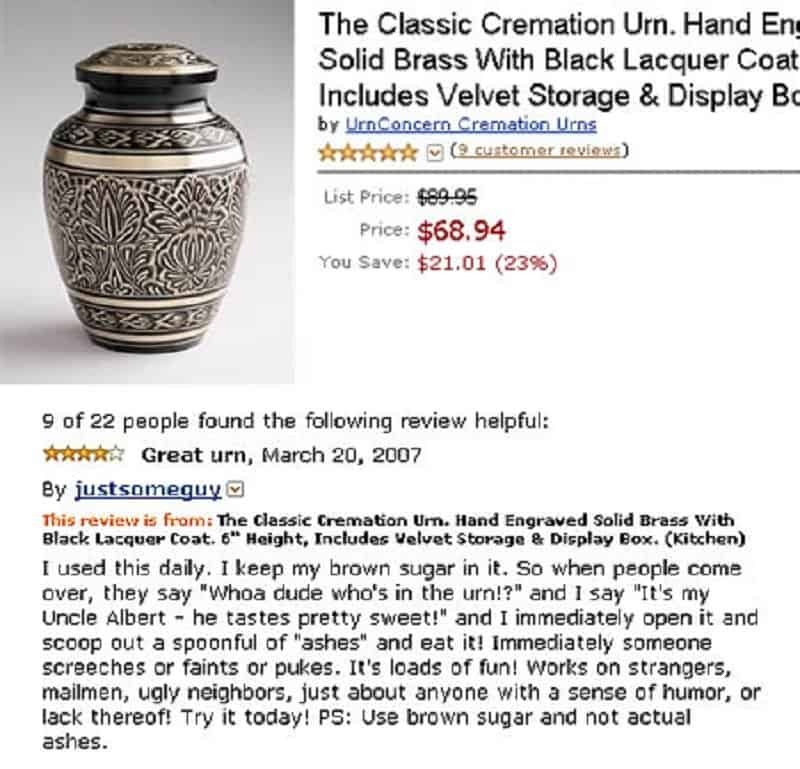 Clearly the person who wrote this review has a very, let’s say, rampant, sense of humor. Christopher ended up seeing god during the simple process of trying to wear a t-shirt. They do say god lies in the little things in life. 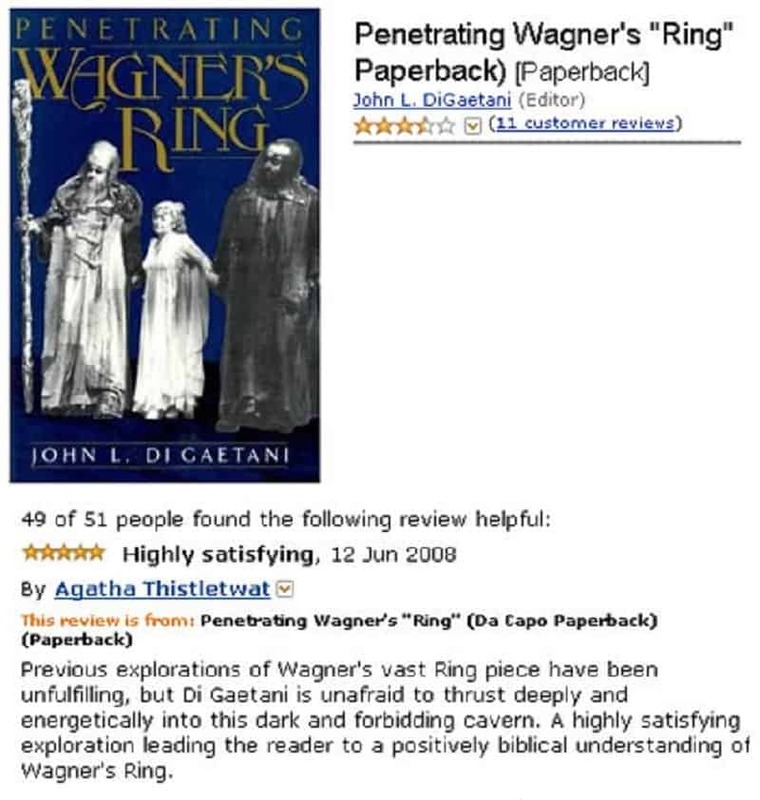 ‘Agatha Thistletwat’ – clearly a name created for this very review, could not refrain from making thrusting jokes after coming across this amusing book title. ‘G.Foster’ was so disturbed by the title of this book, that he went on a full-fledged upper case rant to show his dissent. It was worth it too, this title needs plenty of upper case dissent rants! When you write a review, its always best to consider what the line is when it comes to giving out details. 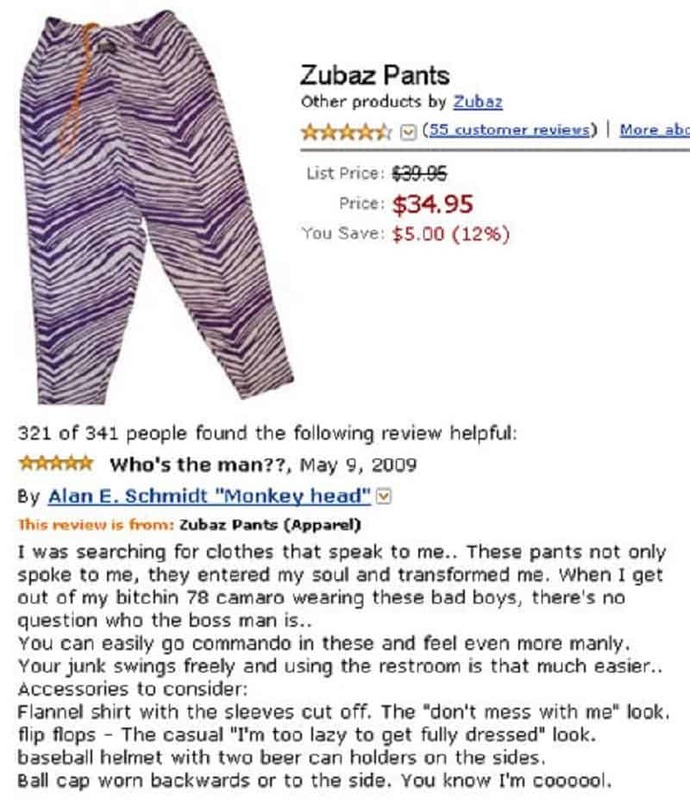 This person thought it was ok to mention that he sometimes walks around commando whenever he buys a new pair of pants. What do you do when you see a product that looks like a war machine? 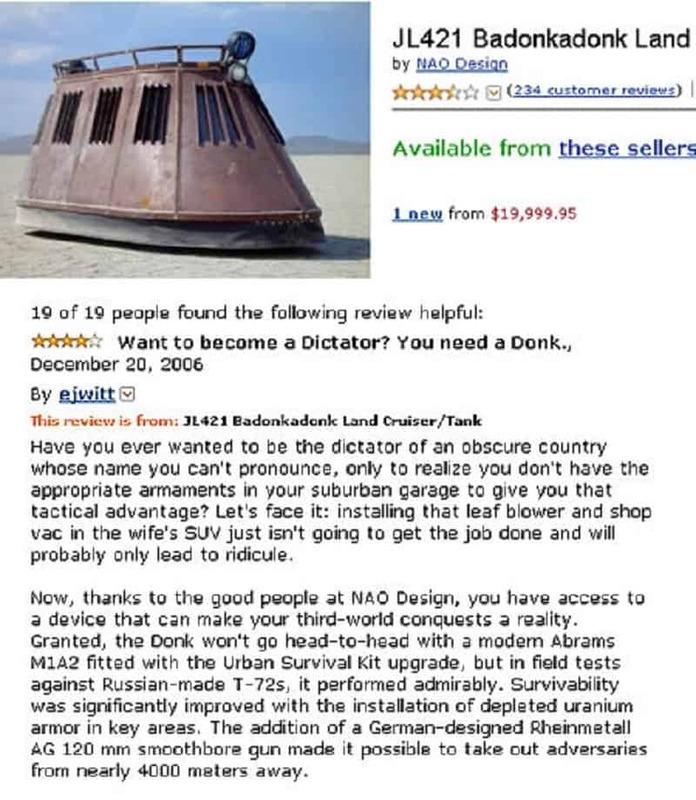 Write a review pretending to be a person who goes to war using the machine of course! ‘ejwitt’ jumped on this chance and totally owned it. 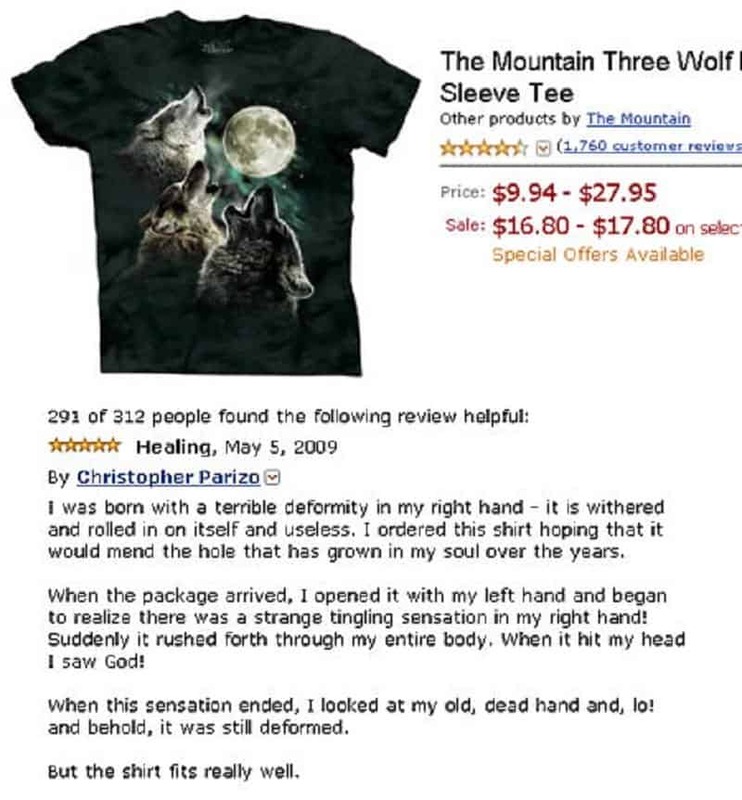 This review could not be more appropriately worded for such a strange product. 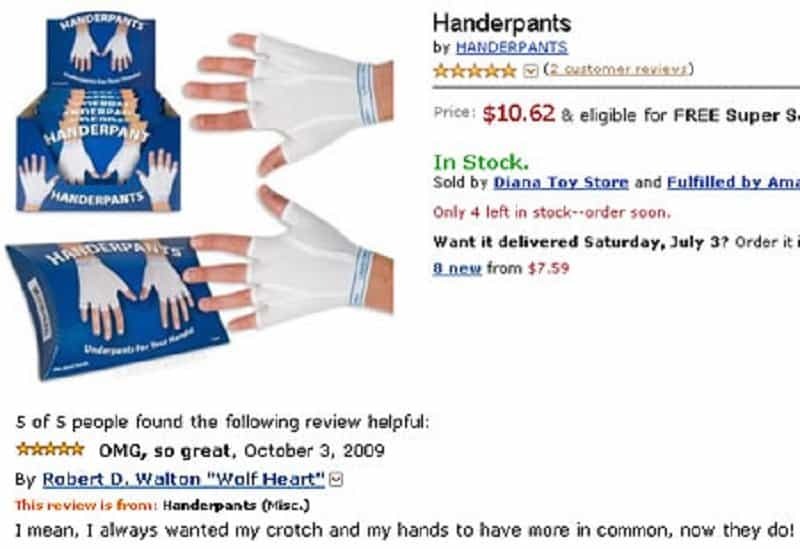 This person wanted more in common with his crotch and hands, and he got it!